Over the last month or so I've bought a lot of new products that I haven't got round to trying yet. Tonight I decided to pick out a few and see what they are like. Since picking up a MAC Pro Longwear Paint Pot in the shade Let's Skate a few months ago, I've been wanting to try another more natural shade so I eventually bought Vintage Selection. It's a shimmering champagne-peach shade that is very wearable. It has a very creamy, smooth texture that is easy to apply to your eyelids with your fingers. I'm really glad I bought this as I love it and I'll definitely get a lot of use out of it. Apart from some Pout Polishes, Pout Paints and a blush palette, I don't have much from Sleek MakeUP despite loving the look of lots of their products. 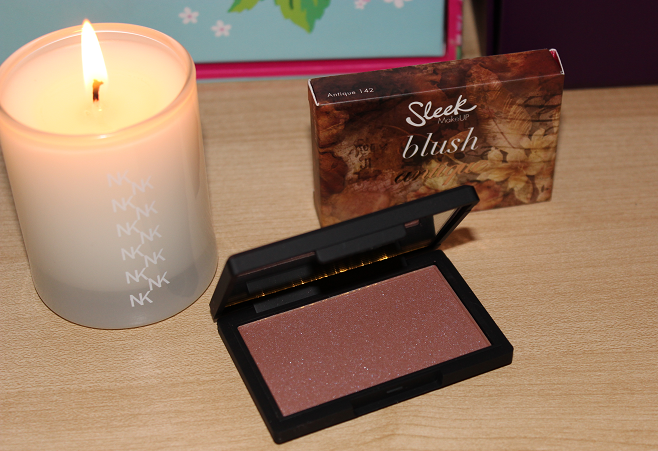 When they launched their Romance Collection I decided to pick up the eyeshadow palette and the blush. I ordered these online and I was quite surprised when I first opened the blush as it's a rather dark brownish colour with silver shimmer running through it. The website describes the Antique shade as a dusky rose and it certainly looks a lot more pink in their photo! I wasn't convinced it would go with my pale skin but you can easily add a little colour to the cheeks and build up the intensity as desired. I think this is really nice for adding a bit of warmth to my complexion and I like the glow you get from the shimmer. I would say this is more of a night time product because of the silver shimmer. I'd really like to look at more of their blushers after trying this one. 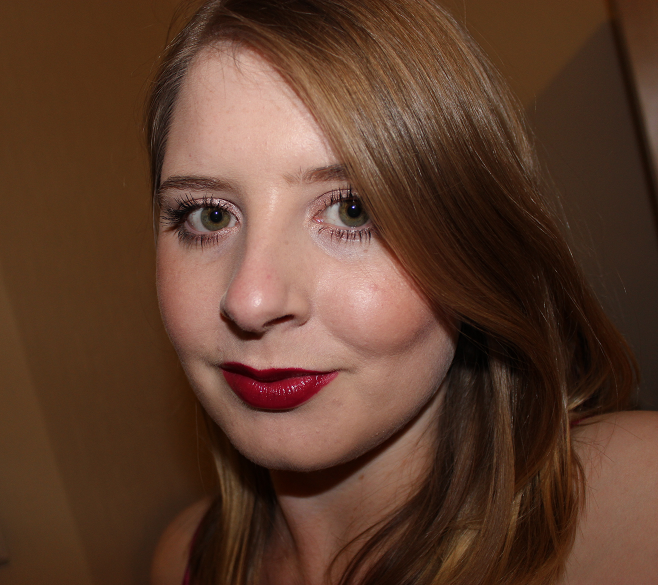 I was really excited to try the Rimmel Moisture Renew lipsticks after reading about their relaunch on several of my favourite blogs. It looks like they have lots of fab colours that I need to check out. 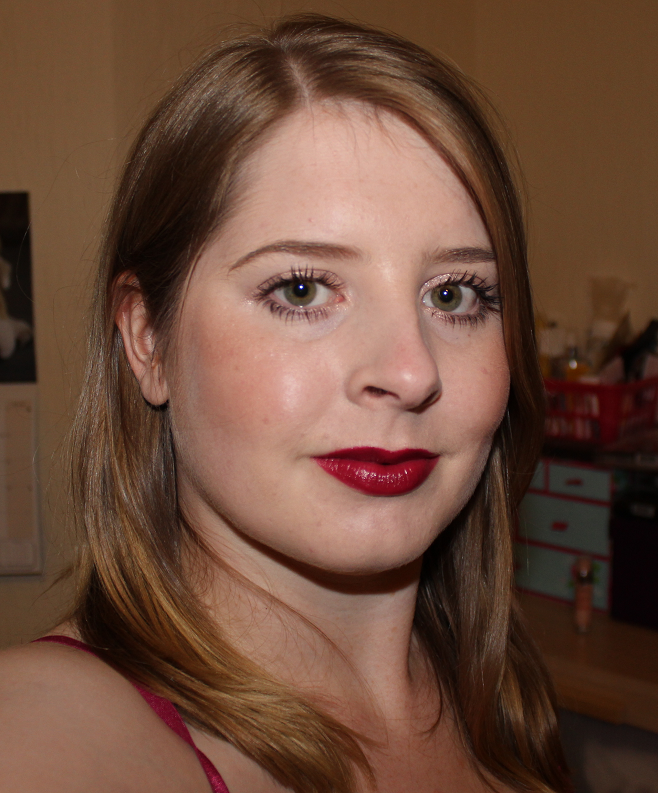 Since I was on the market for a plum shade similar to MAC Rebel, I thought I'd give Glam Plum Fulham a go. 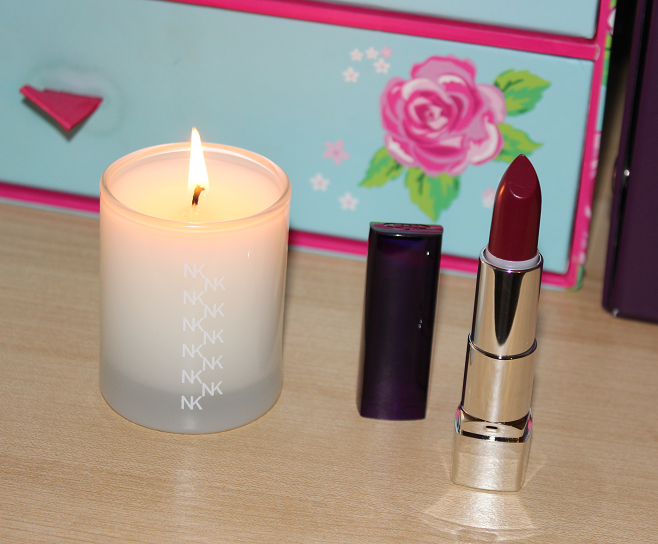 I really like the formula of this lipstick. It's so pigmented and it glides on really smoothly, leaving your lips feeling hydrated. I love the colour of this too and it's perfect for Autumn/Winter. 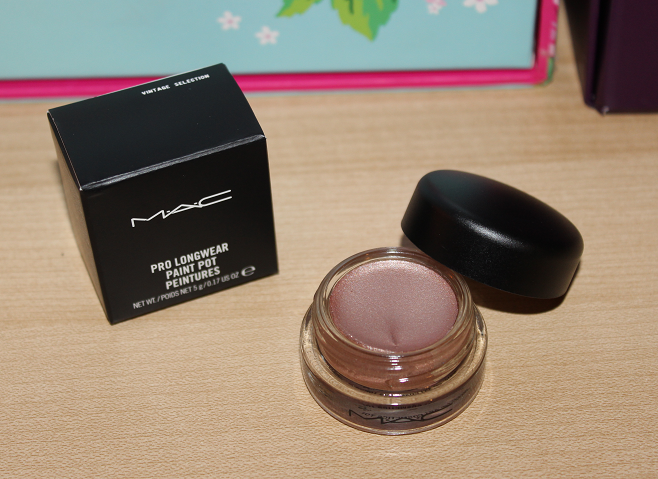 Not bad for £6.49 (Boots) if you are looking for a MAC Rebel dupe on the cheap. Initially when I started taking photos for this post, I'd only selected the MAC Paint Pot, Sleek Blush and Rimmel lipstick as my new items to try but then I remembered I'd bought the Bourjois Happy Light Luminous Serum Primer so I decided to pop that on before my foundation. I haven't really tried many primers, preferring not to spend much money on what I see as a boring step in my routine but I'm really glad I saw this on offer for £6.99 in Superdrug. 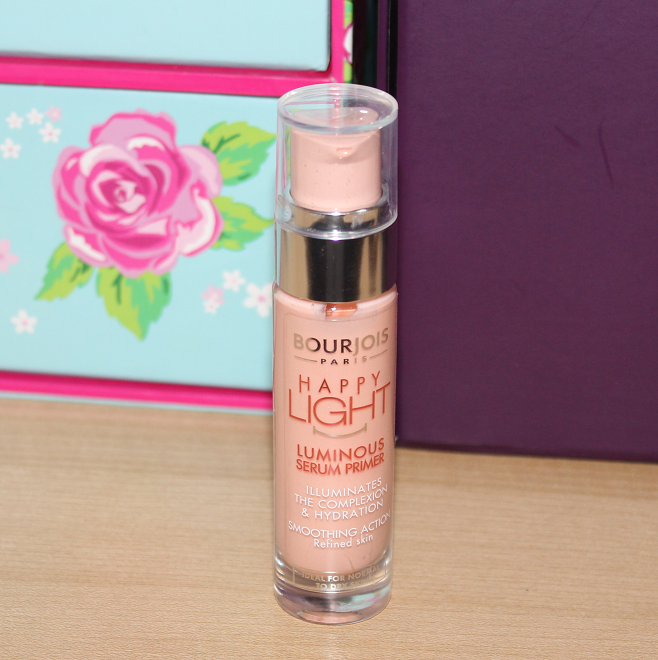 Bourjois have brought out some excellent products lately and this certainly doesn't disappoint. It's a pink coloured liquid that glides on to your skin with a colourless finish and I didn't particularly notice any illuminating effect straight away but once I added my MAC Studio Fix Fluid Foundation over the top I was blown away. I had to use far less foundation and it just glided on to the skin really easily and I felt like it improved the coverage of the foundation. My skin looked so good and it had a radiant finish. I love it! What products have you discovered lately? Let me know whether you've found something great or maybe something you wish you hadn't bothered purchasing! 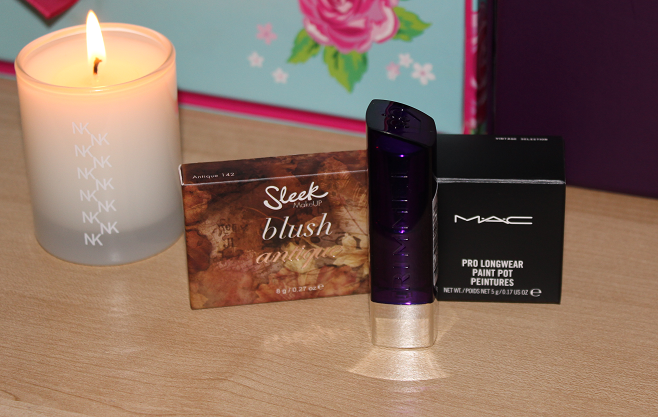 P.S - If you like the look of the MAC Paint Pot and Rimmel lipstick you might want to check out my giveaway where you can win your own. I love how bold that lipstick is!